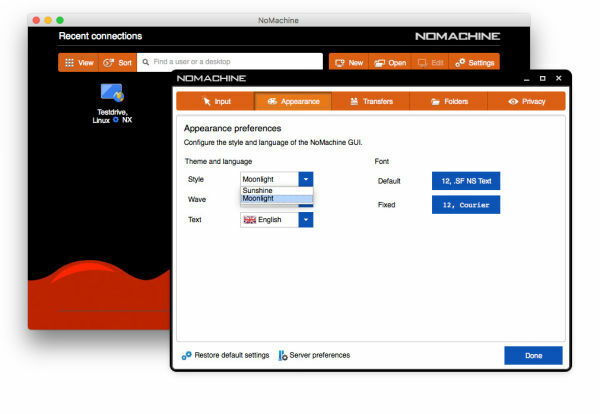 The NoMachine User Interface can be customized by changing the fonts, size of characters and the language to be used in all dialogs and messages. Additionally, it can also natively integrate with the OS when using it on your chosen platform. By default it installs with 'Sunshine' style enabled, but if you prefer the 'dark' theme from earlier versions, you'll need to select 'Moonlight'. 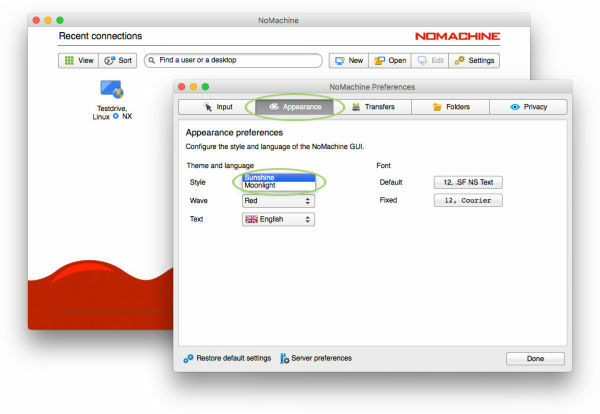 Here’s how to change the appearance of the User Interface in the preferences panel. 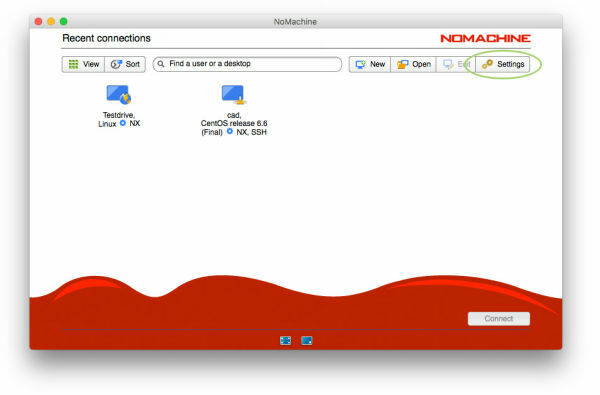 Open the NoMachine User Interface to show the ‘Recent connections’ panel. In 'Style' select the theme you prefer. You can also choose the color of the wave, your favourite font, size of character and the language. Currently supported languages are English, French, German, Italian, Portuguese, Spanish, Polish and Russian with more to come in successive versions.